Our civil or criminal litigation Lawyers in Dhaka, Bangladesh (BD lawyers) has vast experience in the wide range of topics that encompass Civil Litigation such as disputes involving business, contracts, or labor and employment. Related Appeals up to the jurisdiction of the highest court in the Judiciary of Bangladesh i.e. Appellate Division of the Supreme Court of Bangladesh. The LAC litigation Lawyers in Dhaka, Bangladesh (BD lawyers) offers results-oriented criminal defense representation. They will guide you through the complex and critical decisions you will face after being charged with a criminal violation, felony or misdemeanor. They will customize your defense based on a number of factors, including the seriousness of the accusation, the evidence against you and your version of events. They will weigh the risks involved in taking your case to trial. 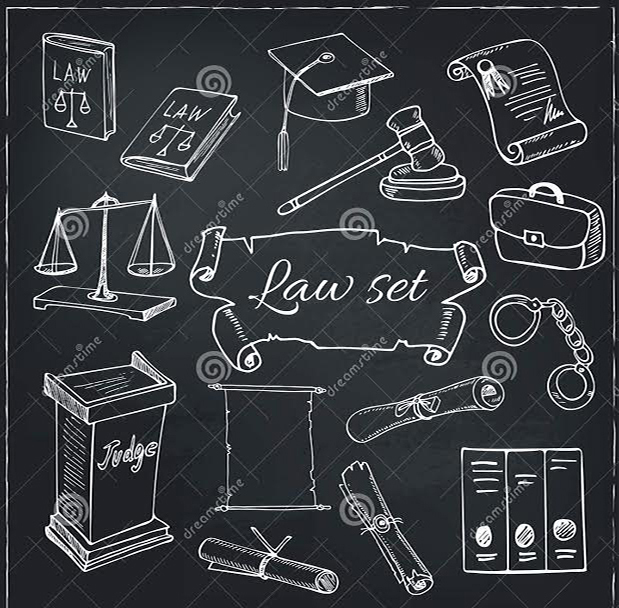 Regardless of whether a favorable settlement or a dismissal at trial is the goal, LAC will use their expertise and unique knowledge of how the prosecutor’s office operates to achieve the desired result. If you are charged in a criminal action, your future depends upon an excellent defense team. You can’t do better than retaining LAC to defend you. The LAC lawyers have an extensive range of Real Estate experience and are particularly skilled in the drafting, review and negotiation of real estate contracts and related legal documents. Further, they have resolved disputes against title companies, agents and brokers; and have negotiated and litigated all ancillary real estate issues. Their experience, knowledge and litigation skills make them well-equipped to provide quality representation to all their real estate clients. Are you facing a criminal investigation? Whether you believe yourself to be the focus of a criminal investigation or you are already facing charges, it is vital that you have an experienced Criminal Defense Lawyer on your side. Our Litigation team has the experience, knowledge and compassion that you need to face these challenging times head on. LAC’s Senior Associates has experience of dealing more than 600 Criminal cases throughout their legal career ranging from offences under the Penal Code, Specific Relief Act, Special Tribunals like Nari-o-Shishu Tribunals, Druto Bichar Tribunal in both the jurisdiction of lower tier and higher courts as well as in the appellate division of the Supreme Court of Bangladesh. LAC Lawyers in Dhaka, Bangladesh (BD lawyers) are equipped with skills that can defend any prospective clients both in interim proceedings as well as trials and our experience coupled with expertise and a result oriented attitude can always provide the best results which one can get. LAC has extensive experience negotiating and/or trying construction cases to an arbitrator or a court. Our Civil Litigation team routinely try or arbitrate many types of cases, including multi-party construction claims, payment disputes, and construction defect disputes. We represent owners, general contractors, subcontractors and material providers. LAC Lawyers in Dhaka, Bangladesh (BD lawyers) have the industry knowledge and courtroom experience to effectively handle your case in a cost-conscious manner. We understand that hiring a lawyer to resolve your construction related issues is an unexpected cost that drains projected revenues. While the cost in money, as well as delay, time away from the project, and interference with an on-going or potential relationships are an unfortunate part of the business, we always keep these factors in mind—and strive to minimize their impact—when representing our construction clients. Our goal is put you back into a place where you can get back to taking care of your business instead of dealing with a legal dispute. It is known to all that a system of laws without effective remedies either fails in its mission or serves very little purpose. An effective system of remedies would also serve no good purpose unless there is a vast awareness of the existence and availability of those remedies. Out of all legal remedies, writ is a very important piece of legal remedy against the infringement of the administrative action which is increasing day by day in the context of the multifarious activities of the state. If cordial approaches are taken to the practical modification in the existing system of Law of Writs in Bangladesh, it can be proved truly effective as a remedy to the public. The recommended steps, once adopted, can be further scrutinized to find out better ways to ensure the utility of this constitutional system. It can be said that, writ is the special kind of remedy provided by the High Court Division of the Supreme Court of Bangladesh. But such kind of remedy is not always available except in case of protecting the violation of fundamental rights. But in case of establishing any of the legal rights provided by any law of the land the aggrieved party has to satisfy the court that he has no equally efficacious remedy under that law etc. ​We the LAC Lawyers in Dhaka, Bangladesh (BD lawyers) has always kept the above connotation in our minds and worked diligently with complex problems which a Writ case could pose. our positive attitude towards each and every problem has always given us the forefront in such litigation. A clear, concise and honest overview of matters towards our clients has always benefited them both in litigation and non-proceeding in decided matters. Public Interest Litigation (PIL) ​Public interest litigation is a proceeding in which an individual or group seeks relief in the interest of the general public and not for its own purpose. Public interest litigation has enlarged and enriched the traditional doctrine of locus standi and had opened new remedies and procedures. Public interest litigation means a legal action initiated in a Court of Law for the enforcement of public interest or general interest in which the public or a class of the community have pecuniary interest or some interest by which their legal rights or liabilities are affected. At present, many changes are taking place in the judicial process and the problems of the deprived section of the community are coming on the forefront. The Courts in various countries have to innovate new methods and devices, new strategies for the purpose of providing access to justice to large masses of people who are deprived and to whom freedom and liberty have no meaning, Considering all these developing judicial trends, the Supreme Court of Bangladesh devised strong strategy to allow public interest litigation (PIL). Normally the person aggrieved may bring writ petition. In case of public interest litigation, any interested person may bring writ petition for the interest of public. Since inception LAC Lawyers in Dhaka, Bangladesh (BD lawyers) has been representing different pressure groups as well as communities who faced problems which can only be solved through PIL since without such forum rights of a portion of aggrieved people were not in any way could be protected. It is needless to mention about the expertise of our litigation team but one thing can easily be said that any prospective client can approach us with an open mind for better advice and representation. The trial lawyers at LAC represent individuals and groups whose employment has been adversely affected by discrimination, harassment, retaliation, and termination. We represent senior executives in negotiating employment contracts and termination agreements. We have experience litigating employment and civil rights cases in both administrative tribunals and labor courts, including at the appellate level. Generally speaking, “at will” employment means an employer may terminate an employee for any reason, or no reason, but not the wrong reason. The wrongful termination in violation of public policy exception prohibits employers for terminating employees for refusing to break the law. Under the wrongful termination in violation of public policy exception, employees may be entitled to compensation as a result of being terminated for refusing their employer’s request that they violate some public policy. The lawyers at LAC have some ongoing experience in litigating claims for wrongful termination. Senior management and other employees may be offered contracts at various stages of their employment. Once hired, an employee may be offered an employment contract. When the employee is terminated or quits she may be offered a severance or release agreement. All of these contracts have specific future ramifications and terms that will affect the employee’s rights going forward. Such contracts should be properly drafted and negotiated to avoid problems down the road. Once entered into, contracts are often broken. Employers often terminate employees who have an employment contract. In such cases the employee is usually due compensation for the remaining term of the contract.The LAC Lawyers in Dhaka, Bangladesh (BD lawyers) represent employees in all phases and aspects of employment contract matters, from negotiation to litigation. Apart from the above litigating types the legal system of Bangladesh has defined some extraordinary jurisdictions while approaching to a case of such jurisdiction a good lawyer has to think out of the box since the procedure as well as the trial under those jurisdiction are totally different than the orthodox way of litigating any civil or criminal matters. Such jurisdictions mainly comprise the matters related to company, admiralty, anti-corruption, Tax and VAT Tribunals, Specific Relief Tribunals, Bishesh Khamata Ain Tribunals, Magistracy under the City Corporations of Bangladesh, Administrative Tribunals, Land Survey Tribunals and so on. Each of these jurisdictions have separate procedural occupancy and the last resort to every other jurisdictions listed above are different litigation in the High Court Division of the Supreme Court of Bangladesh and further towards the Appellate Division, the Highest Courts in Bangladesh in the present court system. Beside invoking civil and criminal jurisdiction, to some occasions the Writ jurisdiction can also be devised as being the last resort having no other alternative remedy. We the LAC Lawyers in Dhaka, Bangladesh (BD lawyers) believe that we have acquired certain basics throughout out our past legal careers that we consider ourselves to be equipped with every possible skills and credentials that we can overcome each and every contingencies which our clients be they prospective or regular had faced and will be facing. It is our duty to be as diligent as possible while representing our clients in different court cases as well as advising them properly to sustain their investment in their benefit. We take pride in ourselves to be as transparent as limpid in every aspect of our legal practice. In every course of our legal practice we try our best to maintain our pledge to be committed experts being limpidly effective and to do justice towards our slogan ” your worries our responsibility”. Honesty, Experience and Dedication in each and every dealing, be it a litigation, documentation, matters relating to Immigration, Intellectual property disputes, Family disputes and corporate or commercial matters, has always worked for us as a shield for keeping our service up to the mark as desired of us. Dispute as to who can take over as the personal representative. The terms “contested matters” and “inheritance litigation” are often used interchangeably with probate litigation. All refer to situations that may require court action to resolve a dispute or fix a problem. Some contested matters do not involve animosity between the parties, while others definitely do. If the matter surfaces because of a person’s death or mental incapacity, then any necessary court proceeding will usually be filed in a court that has “probate jurisdiction.” Most of the matters handled by probate courts, such as admitting wills to probate and appointing executors, are routine and not contested. Routine probate matters can be handled very efficiently and with “Contested matters” you can rely on our experience and expertise for a better outcome.